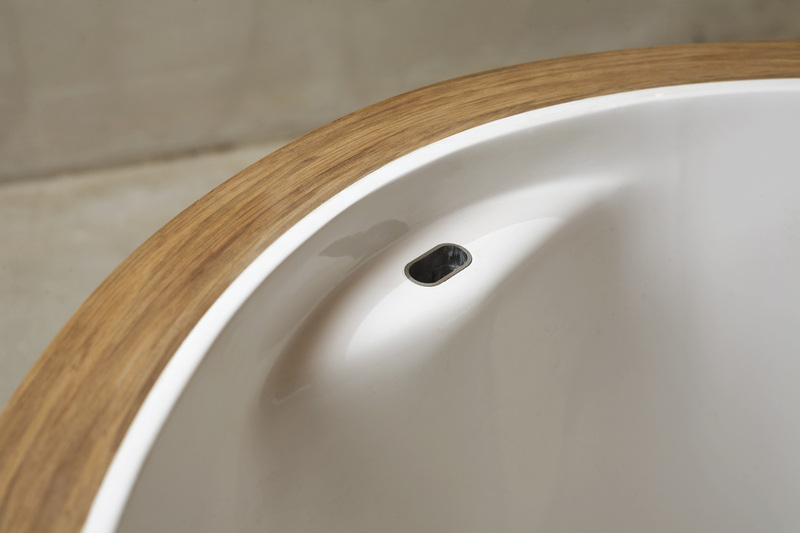 The bathroom is ever increasingly becoming part of our daily living environment. 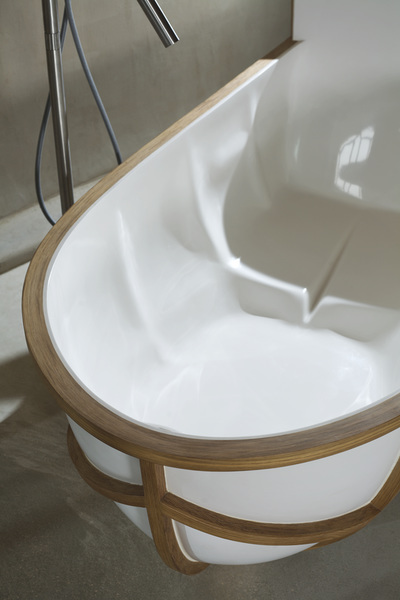 It's a space we enjoy spending time in and that deserves to be cherished. This idea motivated the design of the bathtub 'Evolution': a combination of contemporary materials and artisan craftsmanship that's all about comfort. 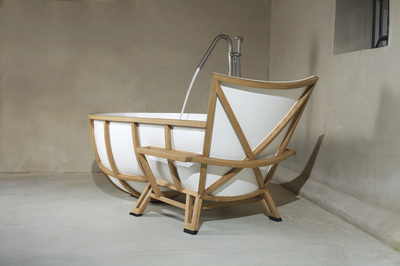 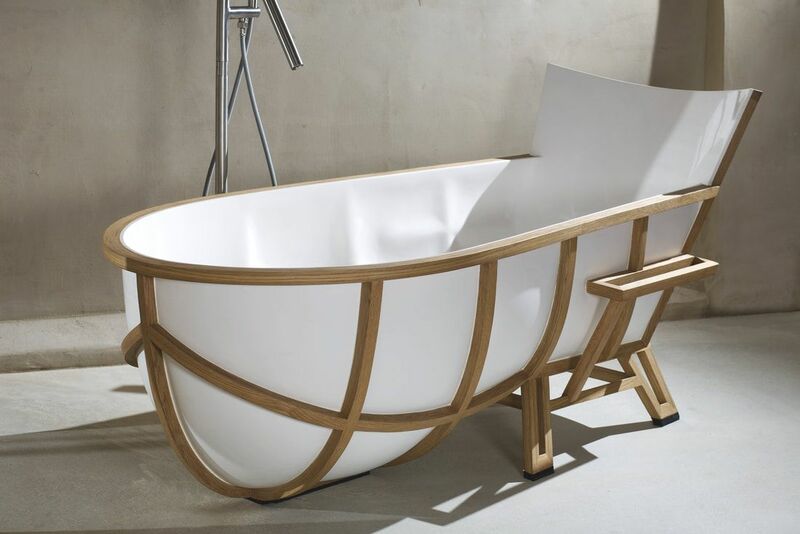 “For this project I took the frame of a chair, designed with comfort and posture in mind, and let it evolve into a bathtub. 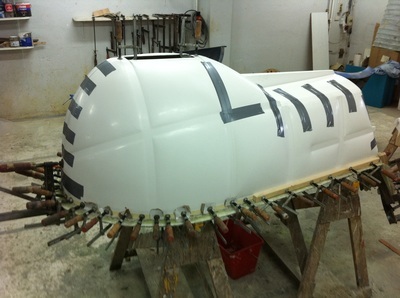 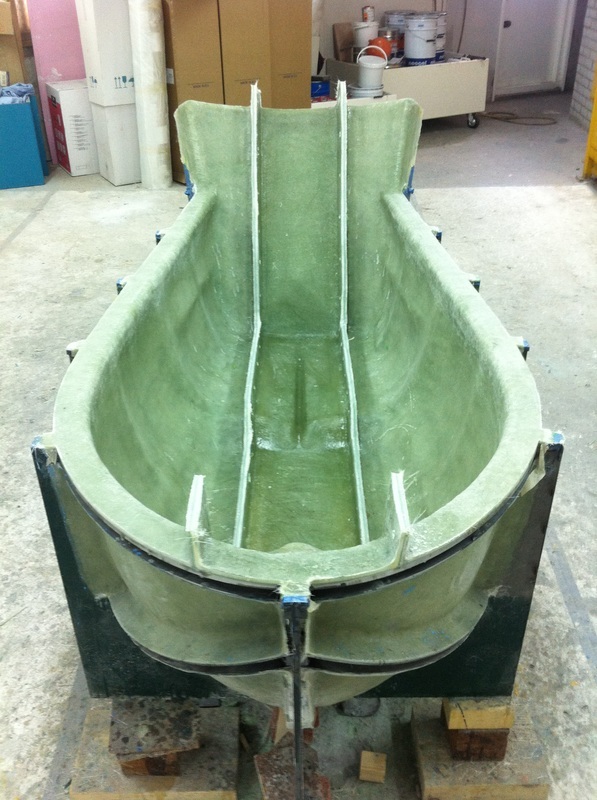 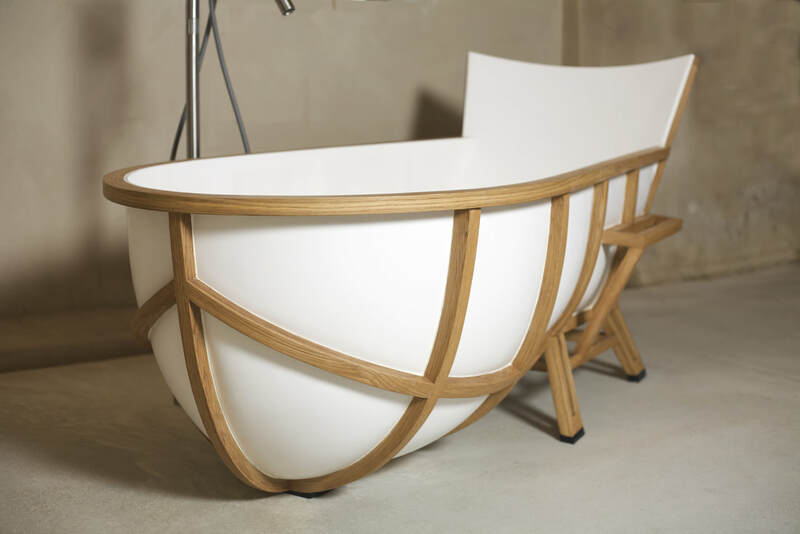 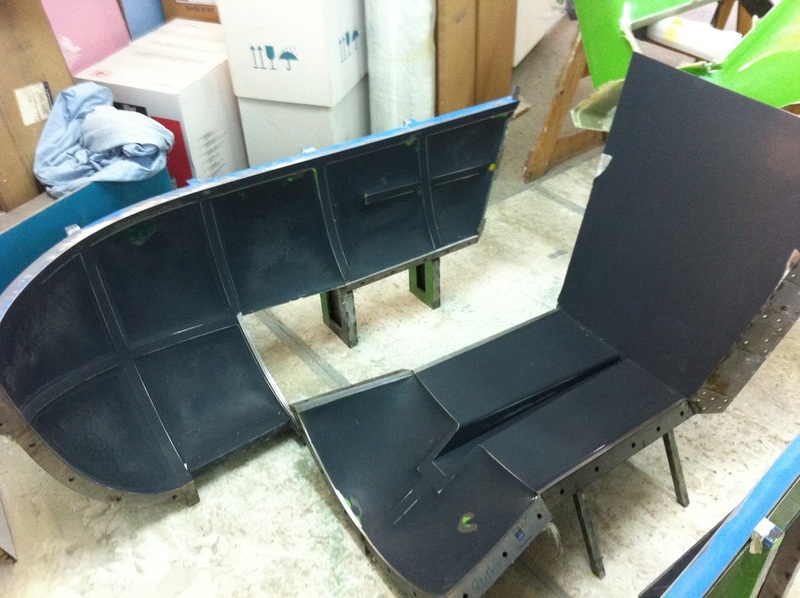 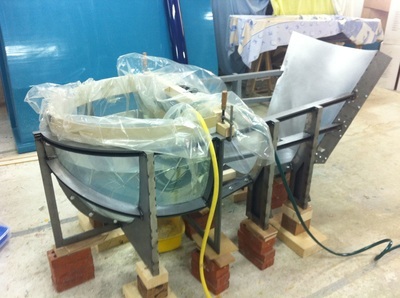 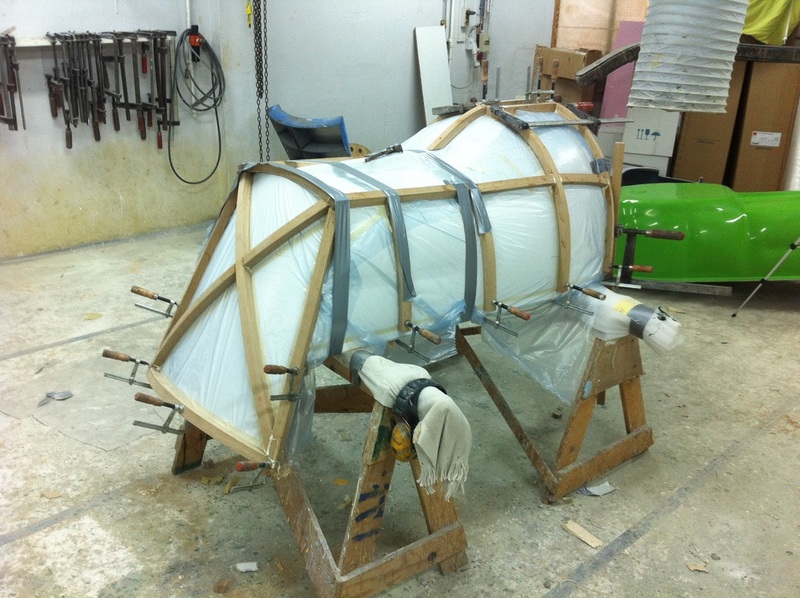 The inner tub is made of a fibreglass reinforced polyester/marble composite. To produce it, House of Thol closely collaborates with a manufacturer that has years of experience working with similar materials in the boating industry. 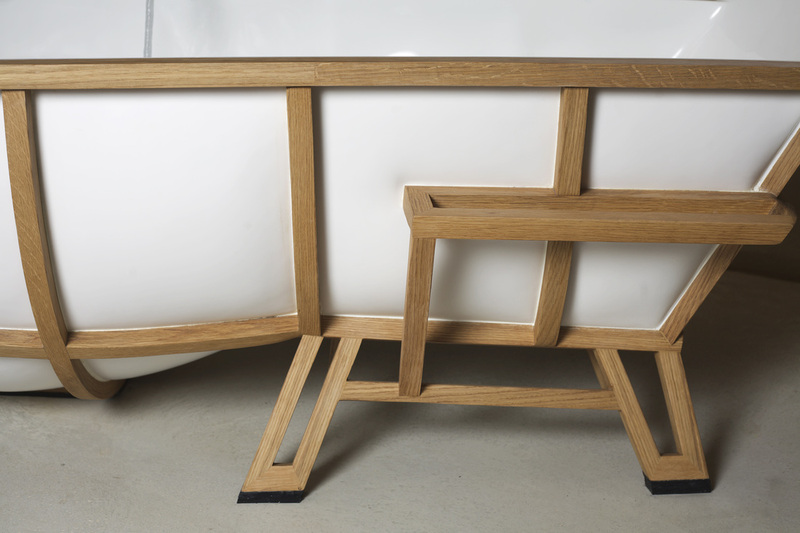 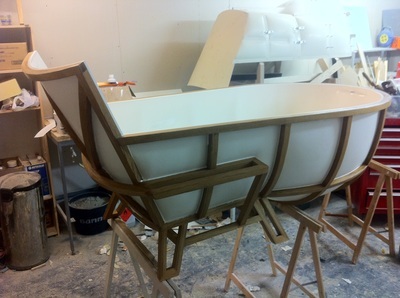 The frame is made of American white oak, bent, shaped and assembled by hand in our workshop in the Netherlands.